A wonderful mix of nature and historic beauty, this stunning Croatian island in the Adriatic Sea offers a great base to explore the Dalmatian Riviera. The resort town of Bol is a popular windsurfing spot, while Supetar ferries passengers from Split to enjoy Brač’s world-renowned pebbly beaches. Home to the radiant white stone of which America’s White House is built, the island offers an impressive landscape of rocky cliffs, pristine beaches and pine forests. Villa Getaways offers luxury accommodation for you to explore Brač’s interior of sleepy historic villages surrounded by vineyards of olive, fig and almond groves. 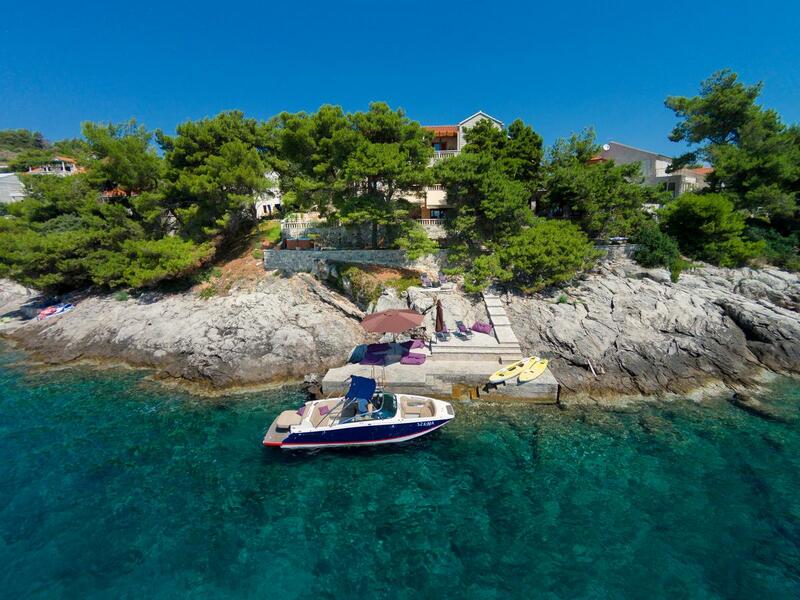 This is an impressive villa built of Brac stone (the same stone as the US White House). 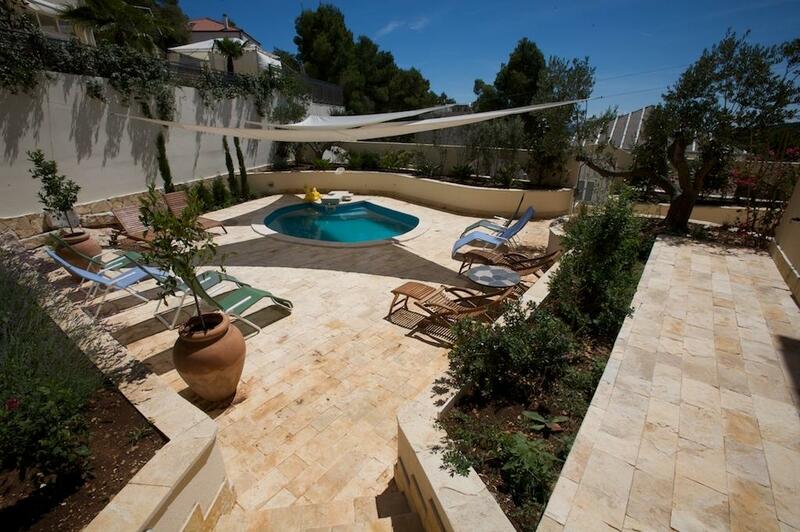 The villa sleeps 14 people plus baby cot (with 6 bedrooms + 6 bathrooms).